Today I am joining Lori from What the Ducks! and Robbie from Palm Rae Urban Potager for a bean celebration! Two years into adopting a Vegan/plant-based lifestyle, I am very aware of the power of the bean. Beans are not just good for you — they are great for you! Especially for women. High in fiber and protein with a low calorie count. One of my "new" things — of which there are many I will post about soon — is to eat beans everyday. What??? You say — impossible! Not so. Beans include chickpeas (garbanzo beans), black beans, pinto beans, navy beans, lentils, yellow indian woman beans — oh, you never heard of that one? — vaquero beans — that one neither? — red nightfall beans ... on and on and on. If you look closely at the seeds of some heirloom beans, you will see that they are stunningly beautiful with swirl-like patterns. I have saved some bean seeds that I thought extraordinarily beautiful and have even attempted to paint some. My illustration, however, cannot beat a bean tasting! So I am going to let you in on a little secret: my favorite place to buy beans. Call me a bean snob, but I like my beans mail ordered directly from Rancho Gordo. 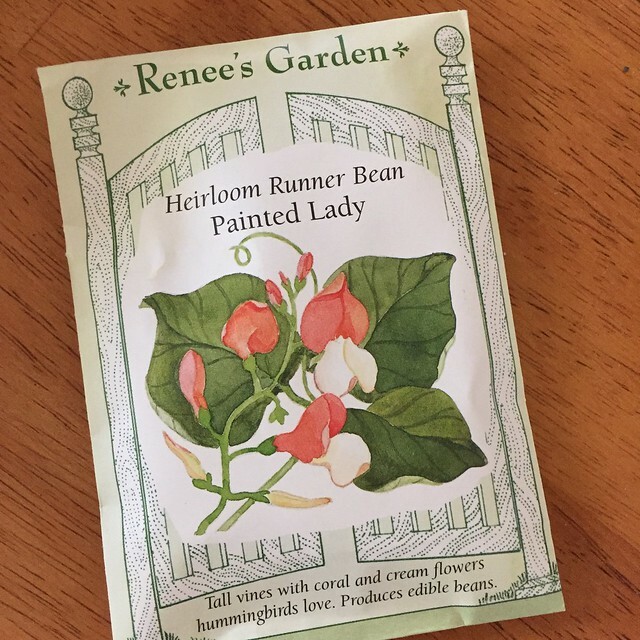 I have never tasted beans so good, all of their heirloom varieties are gorgeous and absolutely delicious. I think yellow indian woman are my favorite but it's a tough call. Get in on their newsletter and you will receive many tasty bean recipes. ​But don't eat those castor beans! They are poisonous. But that brings me to another boast about beans - they are also beautiful to grow! Castor bean plants can be grown as annual in our Northern climes and lend a tropical air with their large leaves and exotic blooms. Did I also mention that beans are very economical? Compare a bag of dried beans to a steak or chicken breast. Better protein for less. Better for you. My husband and I usually cook a crock pot of beans every week. We throw in chopped up veggies, garlic, spices. We eat them over rice, in tacos, or blend them into bean dip or soup. People are afraid of beans because they think they make you FART! I have found that if your digestive track is healthy, beans don't make you fart. I think meats, cheeses and donuts make people fart — stinky, too! Soaking beans will help break them down so they are easier to digest. Eating more beans will help keep your digestive track in tip top shape - soluble fiber if you want to get fancy. So what's best about beans? They're bold, beautiful, beneficial, a better value for your buck. Let's give it up for the bean!